Indeed it is a brave new world for landlords. Sometimes, making the transition to a paperless platform can seem daunting, expensive, or just plain out of reach. Other times the old saying “if it ain’t broke, don’t fix it” might be ringing in your head. But in reality getting your property online and making more money with less effort is just a few easy steps away. Here is a step-by-step instruction on how to do just that! Add your property! If you are not a Swan user already, the fastest and easiest way is to use the Quick Add. This takes all of your necessary info in one simple form. You can be up and running in moments. If you want the full experience, add your bank info to Go Paperless. This will open up more features for your property like online applications and lease drafting. Even if you decide to stay out of the paperless world for now, you still get a wide range of features like automatic lease enforcement and listing/marketing tools. Is your property currently leased? If so, you can add your current lease right away and get started. Under the property detail page you will be able to add current lease in the form of a PDF file or images. You will need to put in the data Swan uses to enforce lease terms on your behalf. Make sure you include the signature page! 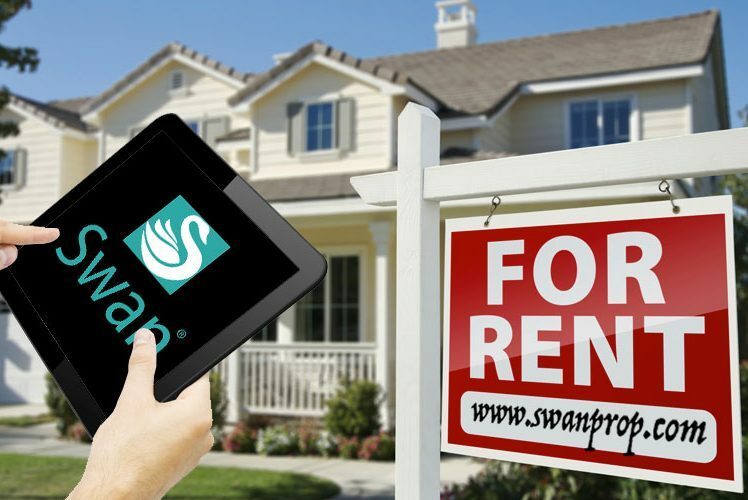 Your tenants will be automatically invited to use Swan to manage their tenancy. If you have opted to Go Paperless they will now have the ability to pay you rent via bank or card. That’s it! You are up and running. You can now start enjoying the benefits of Swan Paperless Property Management or begin marketing your property by sharing the property detail page on your social media platforms. If you have opted to Go Paperless all online payments will be recorded automatically, and deposited into your attached bank account on a 2 day rolling basis (how online rent payments work). If you chose to take rent in other forms, simply apply the rent paid on the current invoice in the property detail window. Now that you have a property on Swan, you can start using the vast feature set and marketing tools found on your property detail page. Create appealing ads in one click for placement on high traffic sites like Craigslist. Order a professional yard sign to get the attention of your local passers-by. Create an open house property detail sheet in one click. And feature your property on Swan for more visibility. You can also keep track of all your leases, payments and service providers for each property in one easy to use landlord dashboard. Not so hard eh? So why wait! Join today and let Swan help you Rent Better.